Ever wonder how some of your favorite artists created their colors on canvas? It’s only been relatively recently in western art history (that is, around the 19th century) that paints began being mass-produced. Just how did western painters make or acquire their paints prior to then? 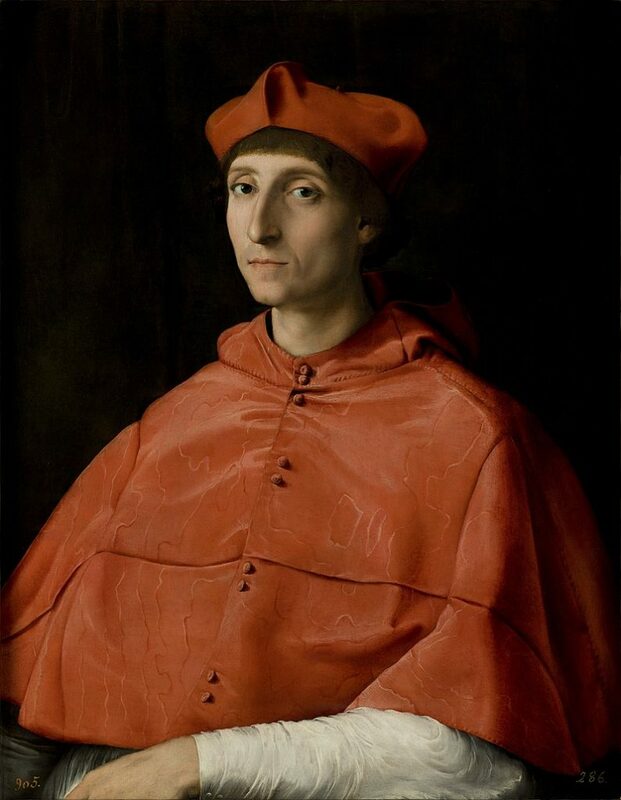 Portrait of a Cardinal by ADP featured artist Raphael, 1510. Image c/o Wikimedia. While Europeans were busy grinding up clay and minerals to produce their reds, Latin American communities had for centuries been creating a much deeper red from the smashed remains of the cochineal bug. When crushed, this catcus-dwelling insect becomes a vibrant red. After they were done conquering and infecting local populations, Europeans went nuts for that cochineal red, as most European red paint couldn’t hold a candle to this bold “new” red. 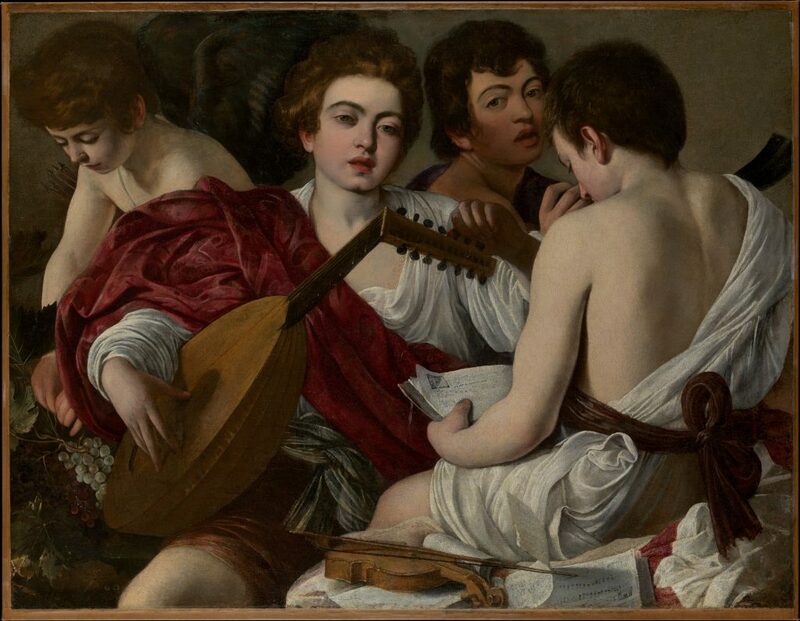 The Musicians by Caravaggio, 1597. Image c/o The Met. 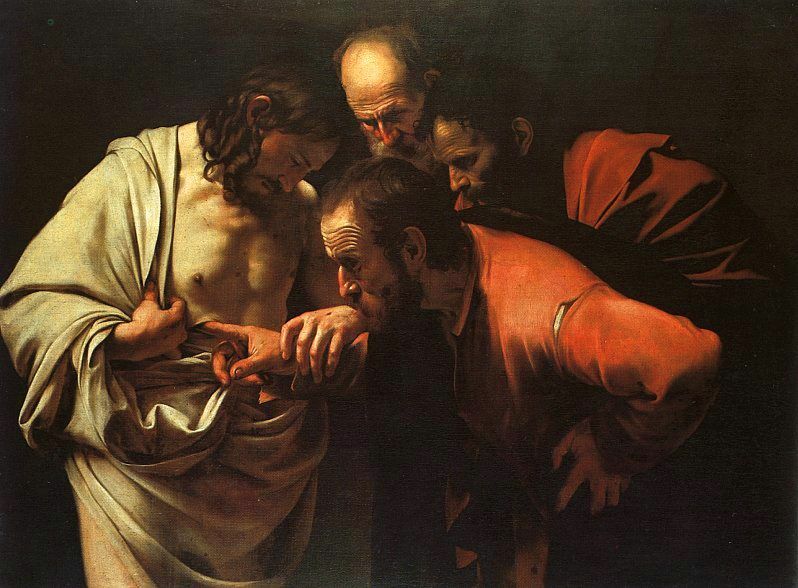 The Incredulity of St. Thomas, Caravaggio, 1601-1602. Image c/o Wikimedia. Thus, cochineal-derived reds were wildly expensive in the 16th and 17th centuries, and were used to create bold red paints. Though synthetic reds have largely usurped cochineal’s use in paints today, it’s found other uses in dye used in food and lipsticks. But hey, at least it’s nontoxic. 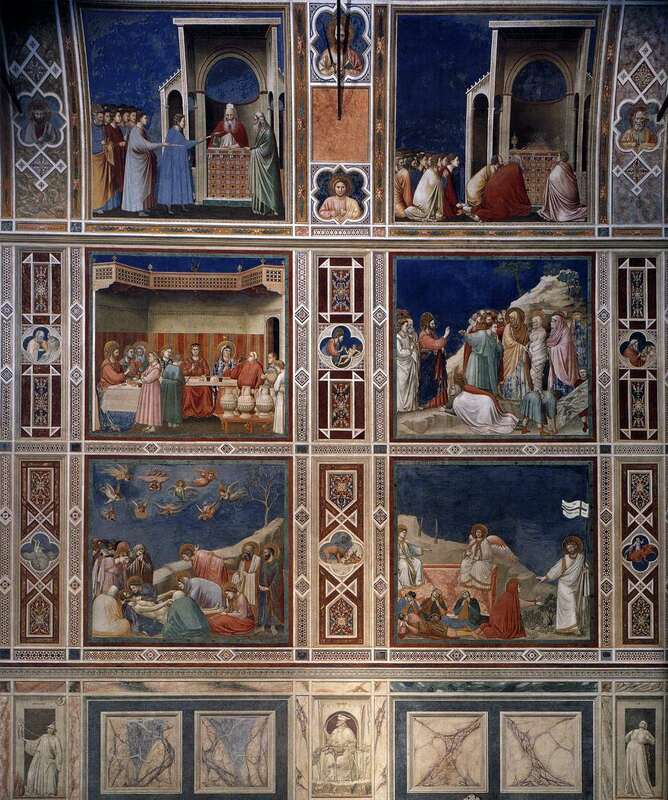 Assorted scenes from the Arena (Scrovegni) Chapel by ADP featured artist Giotto, finished in the 14th century. Image c/o Wikimedia. Despite the low resolution, look at all that blue! 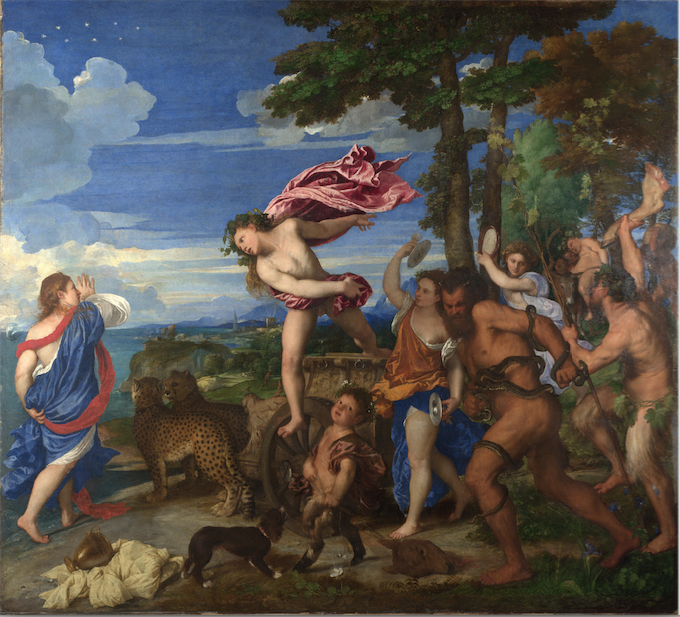 Bacchus and Ariadne, Titian, 1520-1523. Image c/o The Art History Babes podcast. This blue was typically used relatively sparingly in art history–that is, unless the person commissioning the artwork in question was rich, in which case they’d show off their wealth by telling the artist to run wild with the blue. 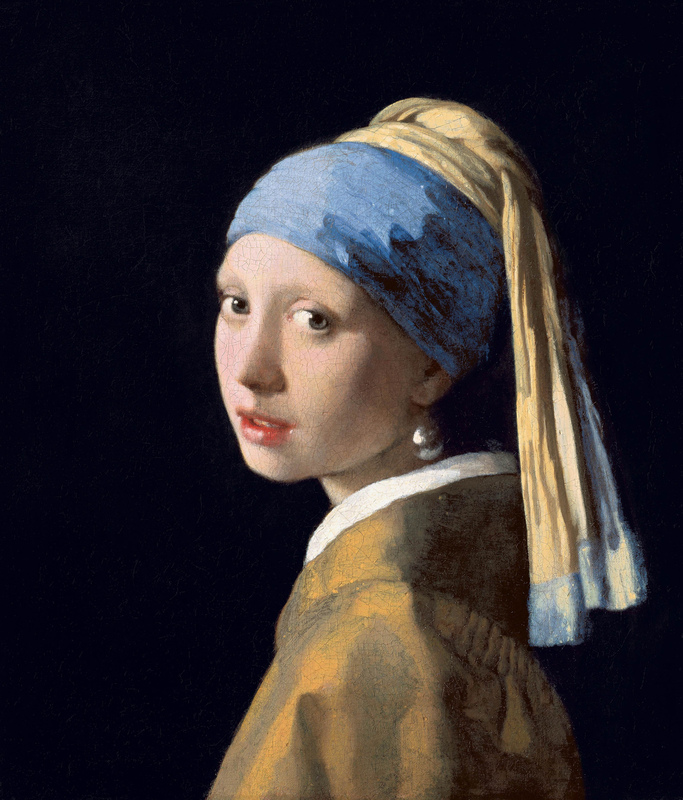 Girl with a Pearl Earring by ADP featured artist Johannes Vermeer, c. 1665. Image c/o Wikimedia. 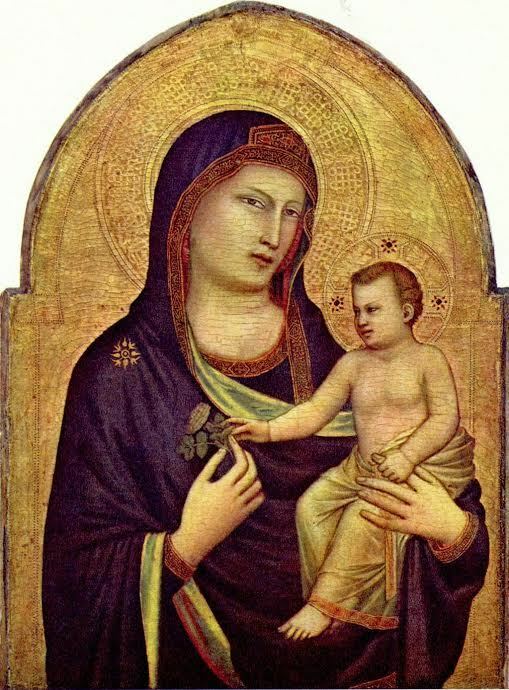 Madonna and Child by ADP featured artist Giotto, 1310-1315. Image c/o The Art History Babes Podcast. Purple has long been associated with royalty, and for good reason–purple is historically one of the most expensive paint colors to produce. Since ancient times, purple dye was made from the excretions of the Mediterranean-dwelling Murex sea snail, which produces a deep purple ink-like secretion when antagonized. Christened Tyrian purple (after its major harvesters in Tyre in modern-day Lebanon), extracting the ink to transform into paints and dyes was labor-intensive and costly, as it also took a great deal of snails to create a small amount of paint. For a time, the Murex snail was even driven to extinction. 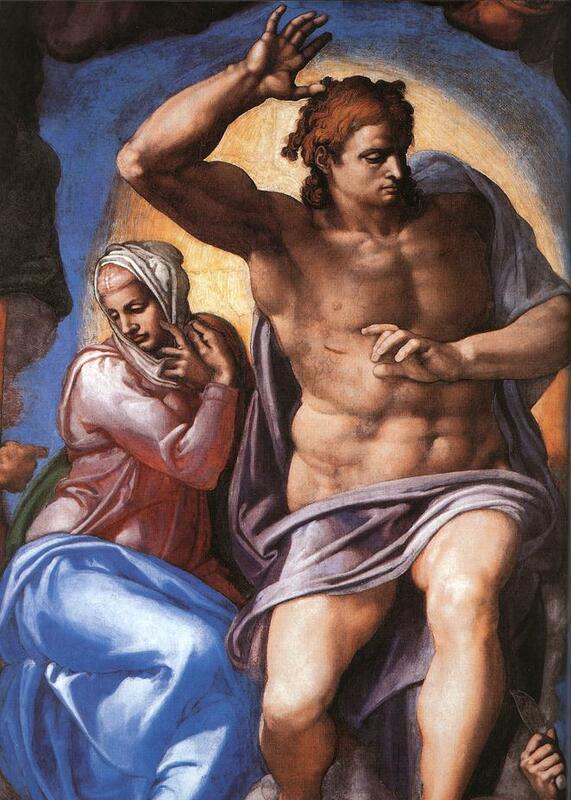 Inset of Christ from The Last Judgment by ADP featured artist Michelangelo, 1536-1541. Image c/o Wikimedia. This is probably why we don’t see quite as much purple throughout earlier western art history. However, with the invention of synthetic paints, purple became more accessible for all–especially the Impressionists. 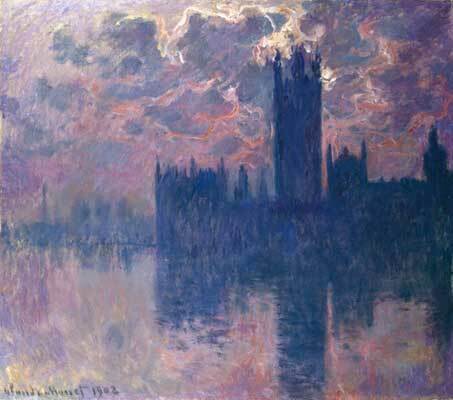 Houses of Parliament, Sunset by ADP featured artist Claude Monet, 1902. Image c/o Wikimedia. Though most artists today choose affordable synthetic pigments, there’s still a demand for these traditional colors, especially in the field of art restoration. There’s even a shop in Florence called Zecchi that still creates and sells Blu Oltremare paint derived from lapis lazuli, as they have for centuries. And after Artsy ran an article about them earlier this year, we’re sure Zecchi will keep creating paint the traditional way for years to come, as restorers (and perhaps more artists themselves) try to match the vibrancy of these timeless hues. Check out more on red from: Artsy, Medium, The BBC, Visual-arts-cork.com, and The Art History Babes podcast. Check out more on blue from: Artsy, Dunn Edwards, The New York Times, and The Art History Babes podcast. Check out more on purple from Charles Parsons, The BBC, Artsy, and The Art History Babes podcast. Don’t forget to follow us on Facebook for updates and more posts!